Sonja Wynn, BSN, RN of UF Health Jacksonville has been selected to join the Nursing Board at the American Health Council. She will be sharing her knowledge and expertise in Nursing, Hemodialysis, and Healthcare Management. With over 37 years in the healthcare industry, Ms. Wynn serves as a crucial asset at University of Florida Health Jacksonville. University of Florida Health Jacksonville is a private, not-for-profit hospital affiliated with the University of Florida Health Science Center offering comfort, healing, and educating the community using the latest treatments and technologies. 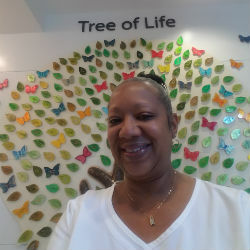 Since joining their staff in 1996, Ms. Wynn’s day-to-day responsibilities at University of Florida Health Jacksonville include clinical care, seeing patients, and the overall treatment of dialysis patients. In 1979, Ms. Wynn earned her Bachelor of Science in Nursing from Hampton University. Ms. Wynn knew the field of nursing was her calling as she has always desired to be a caregiver since birth. She attributes her level of success to being a hard worker, being driven and persistent. Looking towards the future, Ms. Wynn hopes to grow both in her professional and personal life. In her free time, she enjoys exercising, traveling, and taking care of her mother. Additionally, Ms. Wynn enjoys spending time with her husband of twenty-one years, Byron and their two daughters. UF Health Jacksonville is a private, not-for-profit hospital affiliated with the University of Florida Health Science Center campuses in Jacksonville and Gainesville. With more than 3,300 employees, UF Health Jacksonville collaborates with the UF College of Medicine–Jacksonville to bring about healing, comfort, and educate the community. Backed by more than 400 faculty physicians, UF Health Jacksonville offers the following services from: cancer services, cardiovascular services, neuroscience services, orthopedic services, pediatrics, poison center, trauma/ critical care services, and women and families.